Halloween is my favorite holiday to decorate for and to celebrate. Today I’m so excited to finally share a project I’ve been working on with Meijer! 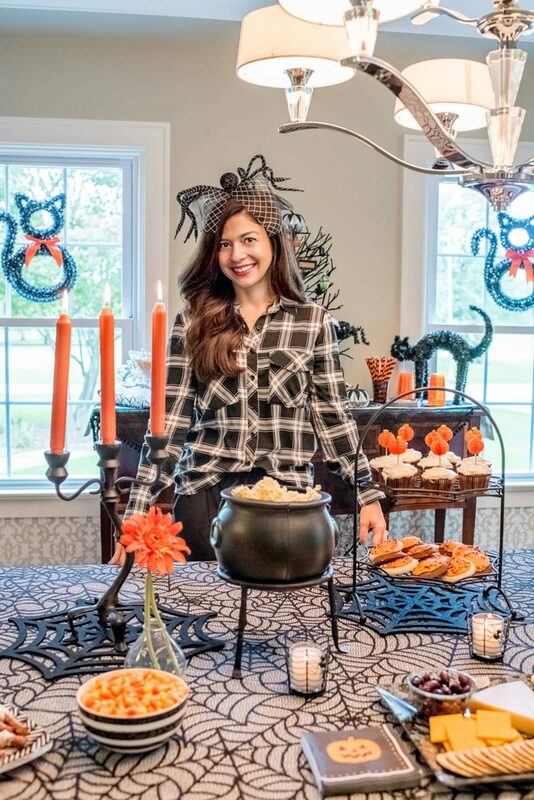 I’ve partnered with Meijer to share some grown up Halloween party inspiration complete with my plans, tips and a few tricks for a tablescape and treats. Head over to the Meijer Style blog to get a look at the whole setup! This is such a good idea!!! I love it all. Such great tips- I am definitely going to use some. Thanks for sharing! Such a fun setup! I can’t wait to see more! This is adorable! Halloween is one of my favorites to decorate for! Such a fun party! How fun! I love this decor! I can’t wait to read more! This is SO fun!!! I haven’t really celebrated Halloween the past few years, but you’re giving me major inspiration to host a party! This looks like so much fun! I love all of the decor! You really outdid yourself! This set-up looks fabulous Nina! Ooh that looks too cool! This is SO cute and I love that headband! I am loving all of this Halloween decor! Such a fun and colorful post! You did such a great job organizing it all – such great ideas too!